2017 – A new showroom for Nordischer Maschinenbau Rud. 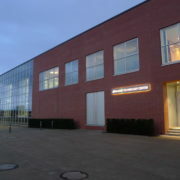 Baader GmbH + Co. KG at its headquarter in Luebeck, Germany. The company is world leader in the field of food processing machinery for the poultry- and fish-industry. 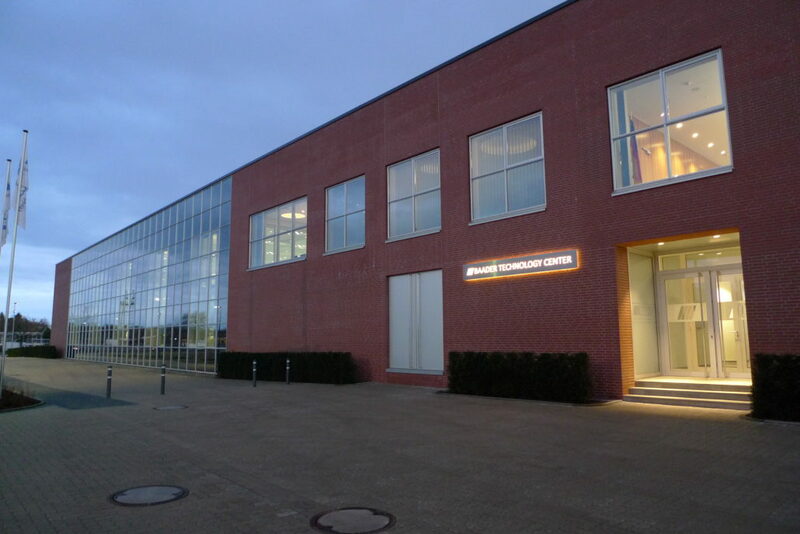 With this new showroom, the company offers a unique centre to have a look at the latest machines and take part in connected conferences and trainings. There were many demands while planning this showroom. The presented machines are several meters long and since it was not only planned to show the machines but also to work with them and show details, a good working illumination was required. In addition, temperatures vary from normal room temperature to very low degrees because the machines are operated to show their full potential. Cleaning of the showroom had to be taken into account: water condensation and splash water were important topics. 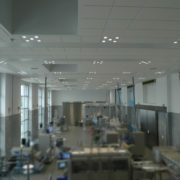 A custom-made ceiling illumination was developed with individual modules, designed to fit into the grid ceiling. 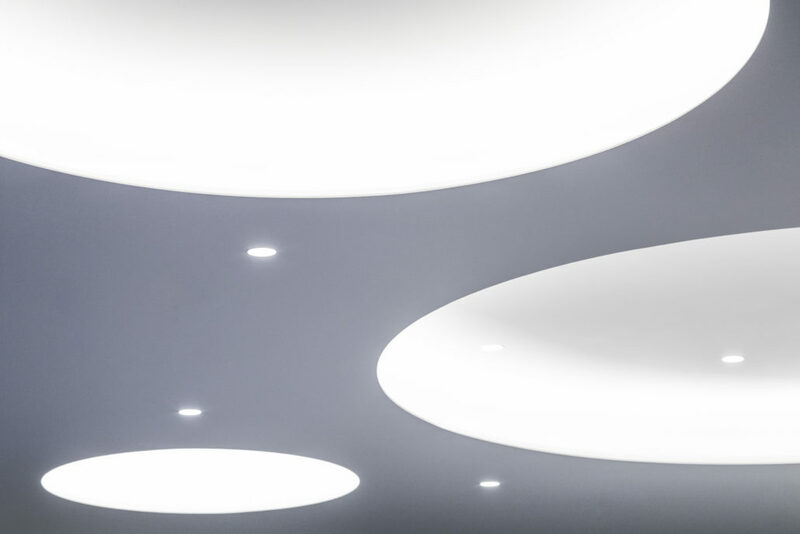 Each module is equipped with five recessed downlights, each having its own address in the light control. 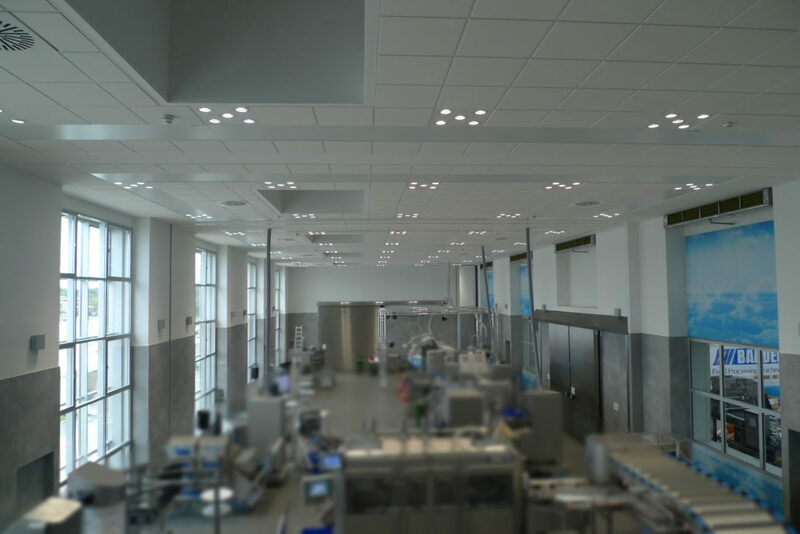 Thus, the lighting installation masters easily a good illumination of the machines and the possible separation of the showroom into two smaller rooms can be accomplished smoothly. The conference centre is situated at the first floor of the same building and overlooks the showroom with a large glass wall. The company wanted to use these rooms not only for conferences and trainings, but also for evening festivities or receptions. The area can be used as one large room or be separated into up to three rooms. Indirect illumination was used to create a nice atmosphere. 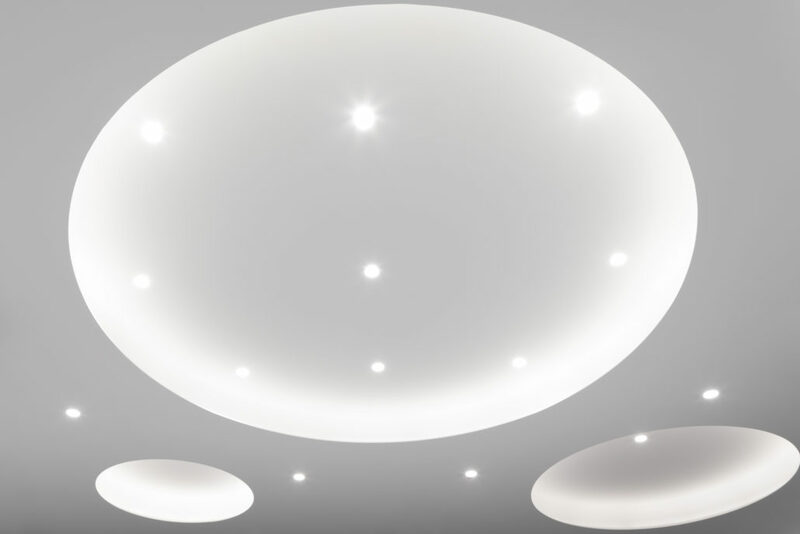 Circles in different sizes and in irregular distribution achieve an interesting ceiling, hiding the linear light in their smooth construction. 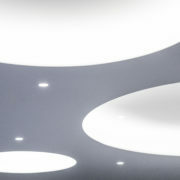 Direkt light, coming from recessed ceiling luminaires, arranged regularly, serve as a good working light for conferences. 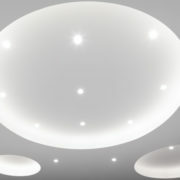 Each element of the combined installation has its own address in the light control, can be dimmed and switched on or off according to the event.